We took off for a quick 2 day vacay in Sedona this week. We hit some great restaurants and basically chased fall. Believe it or not, we found it. And it is more gorgeous than I remembered. We also found winter in Flagstaff (not quite as fun). At 11,500 feet at Arizona Snowbowl it was about 30 degrees (which feels like 20). Talk about a wake up call. So I am happy to be thawed out and back in Phoenix just in time for some rain and great weather before we head to Disneyland in a few days. Oh my gosh, and yesterday was Back to the Future Day. I have to admit I am a little geeked out over it. Chad, Munchkin and I hit the theater to see the trilogy and it was so fun. We shared through Instagram, so if you follow us there you probably caught a few pics from the theater. It was really cool to hang with a theater full of fellow geeks clapping over the date October 21, 2015. I love those movies and I realized I never saw part 3. So things have been crazy, although the travel is fun I think we are going to plant ourselves for a month after Disneyland. I am so excited about Mickey's Halloween Party. So, what do we need to eat? What is your favorite? Enjoy our "What's Sizzling on TSRI This Week" and check out past What's Sizzling posts here. 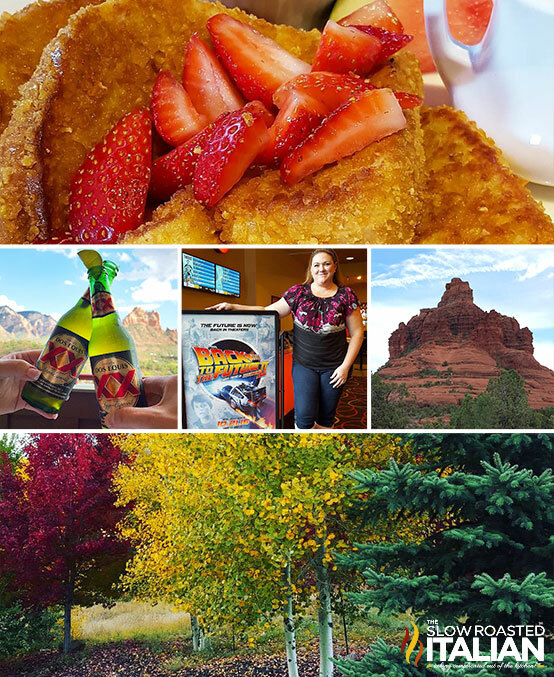 You can keep up with our fun Sedona adventures on Instagram. We will also be sharing our trip right here on our website, so keep checking back. If you haven't heard: we have something exciting in the works!!! We get emails from you daily asking us for a cookbook and at long last, we are working on our first eBook. 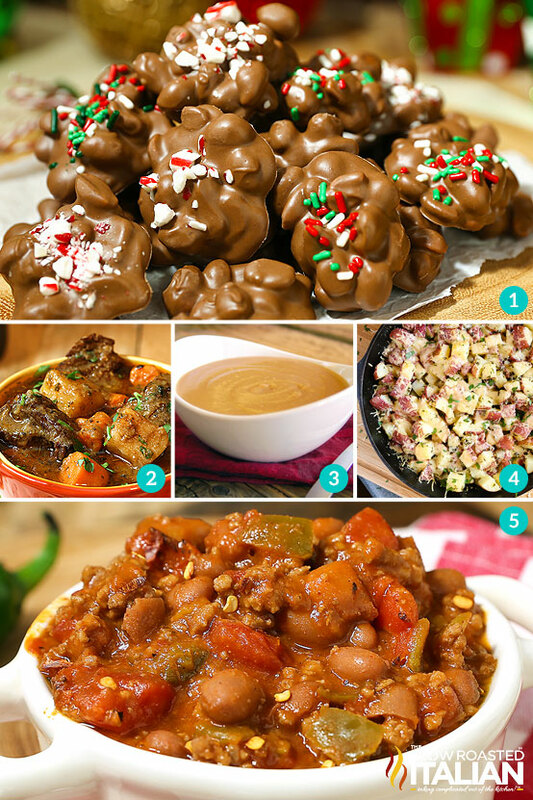 It is a collection of Lazy Day recipes and I know you are going to love it! I am sure we will have a pre-order page up in the coming weeks. Thank you for all your lovely emails this week. We love hearing from you. What recipes are you looking for? Email us and let us know. We love to hear from you. Emails, Facebook, Twitter, Instagram are fantastic and we are new to Snapchat - check us out @slow_roasted. But we love to hear all about your experiences right here on our site too. All of our readers will benefit from your kitchen adventures with our recipes and if you just love something so much that you have to tell me, I'd love to hear that too. So, kick off your shoes and make yourself at home. Let see What's Sizzling on TSRI This Week! 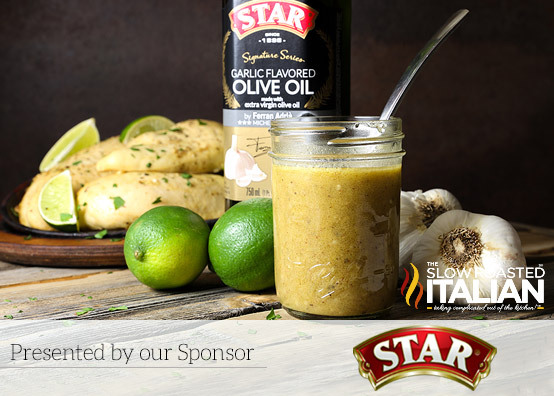 Check out what is trending this week on The Slow Roasted Italian. 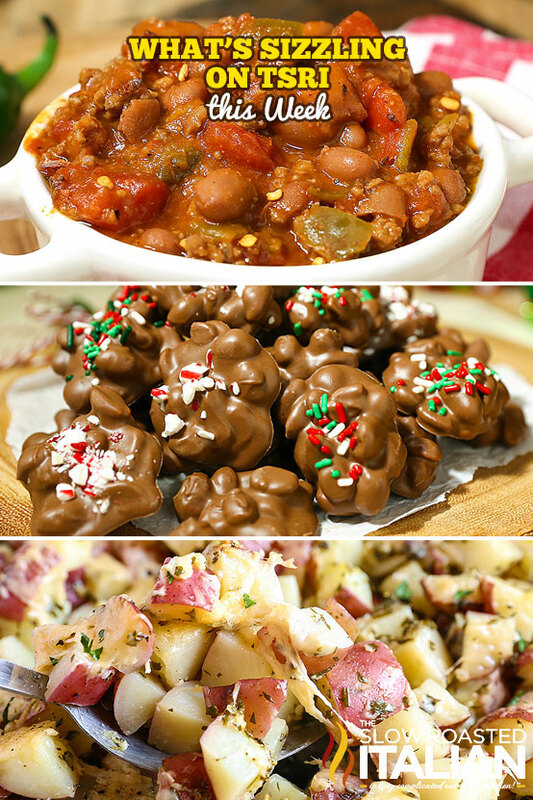 Our top 5 most popular recipes this week are a combination of new favorites and fall recipes. A lot of people are looking at comfort food and we are so thrilled fall is here (well for you, we are still at the tail end of summerish here). I'm sure you will love them all! BEST EVER Hearty Beef Soup! With juicy tender chucks of beef that melt in your mouth and a glorious rich soup loaded with vegetables it is truly the ultimate comfort food. This simple recipe has minimal active time and it is sure to be on your table again and again. It has been on ours! If you are looking for the ultimate recipe, this is the one. 5 Ingredient, 5 Minute, 5 Star Brown Gravy. The easiest brown gravy you have ever made! Homemade gravy is one of my favorite shortcuts in the kitchen. This 5 Minute Homemade Brown Gravy recipe will be a meal saver. All you need is this simple recipe, no packet needed. Substitute chicken for beef and have a scrumptious gravy for Thanksgiving. Garlic Parmesan Cheesy Potatoes are roasted to perfection in a cast iron skillet to create a spectacular potato dish that is bursting with flavor. Loaded with garlic, herbs and tons of cheese, you will be going back for seconds. This simple recipe comes together in a flash and gives any dinner a real WOW factor! It doesn't get much better than this mouthwatering side. You must give it a try! 5 Ingredient Lazy Day Chili is a thick and hearty recipe that comes together in just 15 minutes, using only 5 ingredients. Truly one of our favorite chili recipes ever it is perfect for winter or fall, spring or even summer barbecuing. Any recipe that tastes this good and can be put together on a lazy day is a keeper in my book! 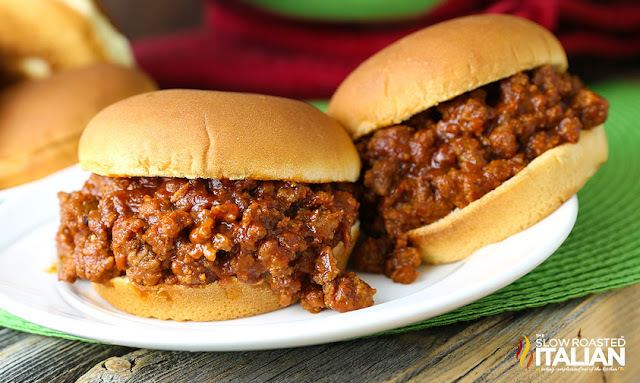 Lazy Day Sloppy Joe's are miles away from ordinary with a special ingredient added to really kick this simple recipe up a notch. This hearty meal is ready in just 15 minutes these can be on your table any night of the week! 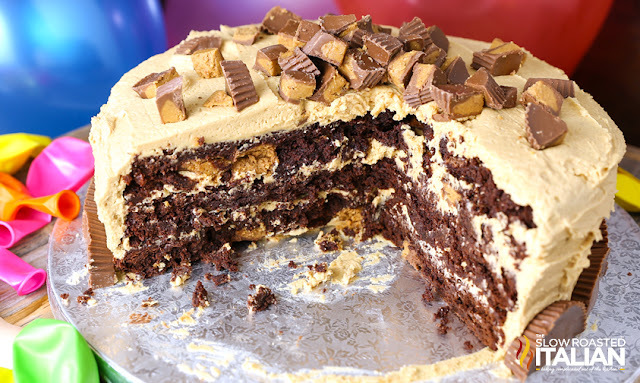 Reese's Peanut Butter Cup Extreme Brownie Cake starts with a simple brownie recipe that is fully loaded with peanut butter cups. Then, a peanut butter frosting that is second only to your grandma’s peanut butter fudge is the only way to do those layers any justice. The rich and creamy peanut butter frosting will blow your mind. It is so good, I couldn't keep my hands off it. It is nearly addictive. 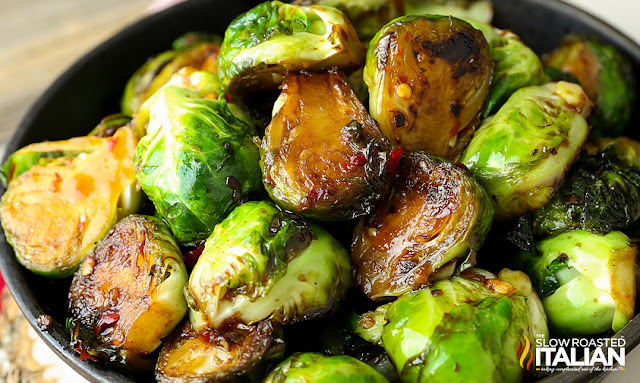 Pan Fried Brussels Sprouts with Sweet Chili Sauce starts by caramelizing the sprouts to give them amazing flavor and texture. Then they are cooked in the most amazing Sweet Chili Sauce which gives them some sweet heat. Absolutely irresistible! Catch more of TSRI by visiting us across the web. Check out our Simple Kitchen recipes and curation on Parade Community Table and eBay for amazing easy recipes and collections developed by yours truly. 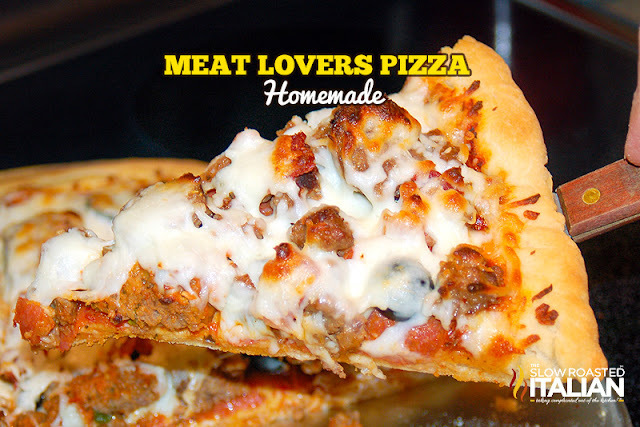 Homemade Meat Lover's Pizza is an old favorite that we are sharing with you. The perfect crust topped with the perfect selection of meat lover's toppings. You are going to love it! Catch up with TSRI where ever we are. Find us behind the scenes in the kitchen with us (Donna & Chad) and out on the town. Follow us on ❤Instagram❤ to keep up with us and join in the fun! We have received so many requests for How To's and Kitchen Hacks that we have started creating some articles for you. I hope you enjoy them. Let us know what you would like to see. In the kitchen this week... we are working on a lot of fabulous recipes. Comfort food, simple dinners are the theme this week. Lots of Lazy Day cooking. Which by the way... Big secret (not anymore) we are working on our Lazy Day eCookBook. It will be out soon. What do you think about that? Are we going to be seeing any new recipes any time soon? Yes! Always. 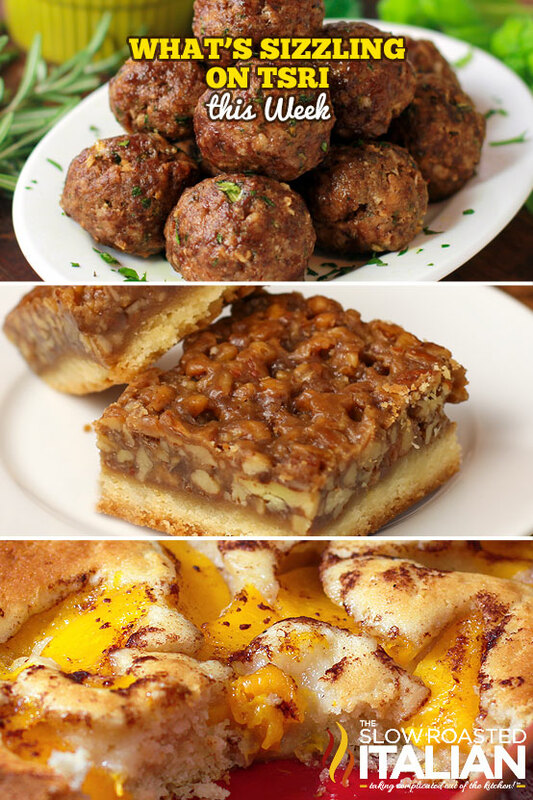 The new recipes we published this week are under NEW SIZZLING RECIPES above. Enjoy.